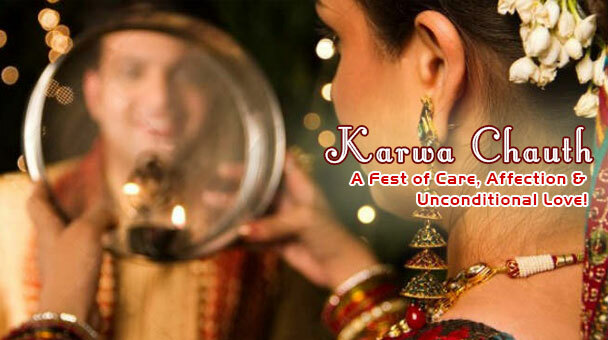 Karwa Chauth is the festival of Indian that remarks the Indian traditions and the importance of relationship in India. The festival is a day of opportunity for the Husband and wives to strengthen their bond of love, care and affection or each other. This every married woman keeps a fast for long life, well being and success of her husband from sunrise to moonrise. In return to this, husband expresses his heartily feelings of Thanks to his beloved wife by gifting her something loving, affectionate, useful or thoughtful. Also gifts are exchanged between Mother in law and Daughter in law as well. For everyone fest gifting has a different meaning. On Karwa Chauth Gifts is basically a role player to express the gratitude of Thanks to beloved wife, Mother- in law and Daughter in law as well. Thus to add more love, affection and care and to let people say thanks on Karwa Chauth, here comes an exclusive array of Karwa Chauth Gifts online. 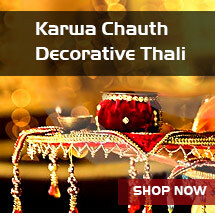 The vast collection of Karwa Chauth Gifts is inclusive of Karwa Chauth Sargi, Karwa Chauth Sweets, Karwa Chauth Chocolates, Karwa Chauth Dry Fruits, Karwa Chauth Puja Thali, Karwa Chauth Flowers, Personalized Photo Gifts, Karwa Chauth Roses, Karwa Chauth Cakes, Karwa chauth Gift Hamper, Karwa chauth Best Sellers, Flower with Dry Fruits, Flower with Sweets, Flower with Cakes, Flower with Chocolates and much more to explore. So when it is to buy Karwa chauth Gifts online, this is the right place for you to explore the wide collection of Karwa Chauth gifts at attractive price point. There are many times, who may not be there with your dear one on the festival of Kara Chauth. Understanding the thing and the importance of gifting on Karwa Chauth, we have here come up with the facility to send Karwa Chauth Gifts to India. Now anyone can send Karwa Chauth gifts to Mumbai, Delhi, Haryana, Punjab or anywhere else with great ease and convenience. So this Karwa Chauth doesn’t let the distance act as barrier rather express your love with online gifts.